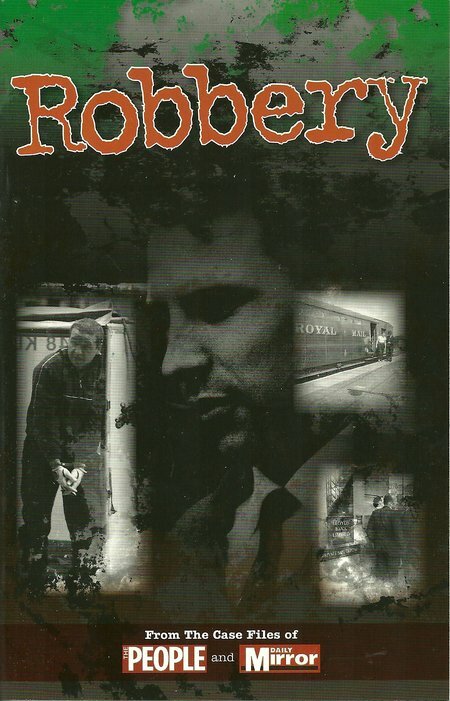 This book provides a collection of robbery cases. The author has divided the book into three groups of topic, with Art Heists being followed by Burglaries and Robberies, concluded by Frauds and Swindles. The thirty two cases feature well-known incidents and some less well known incidents. The book not only provides a selection of robbery cases, but demonstrates the social changes that have affected crime as much as other areas of human activity. DESCRIPTION: At the time of review, it is not clear how many books will form this new series from Haynes Publishing. The first four books follow the same format with softback binding and economy paper. The printing is crisp and the plate section includes full colour and b&w images. The concept is to base the book on the Case Files of the People and Daily Mirror newspapers. The series therefore has some scope for further development because new categories of criminals could form additional books in the series and/or the publisher could add volumes to existing topic groups because the newspaper Case Files will include many more criminals, of equal or greater notoriety, than have been covered in the first books. This book provides a collection of robbery cases. The author has divided the book into three groups of topic, with Art Heists being followed by Burglaries and Robberies, concluded by Frauds and Swindles. The thirty two cases feature well-known incidents and some less well known incidents. The book not only provides a selection of robbery cases, but demonstrates the social changes that have affected crime as much as other areas of human activity. In the Bentley case, the death penalty was still on the books and treated any accomplice as being equally culpable as the person who pulled the trigger or wielded the blade. At that time, criminals often searched each other to make sure that no one was carrying a weapon. In this case, Bentley hanged because his partner, who was the real killer, was too young to be tried for capital murder. This goes some way to explaining how the British “Bobbie” was able to operate armed only with a truncheon. At that time the robber fled but if cornered depended on his fists and boots. By contrast, modern Britain has seen the law abiding population largely disarmed by draconian gun laws with gun crime involving illegal firearms doubling each time the gun laws are tightened further, whilst criminals routinely carry guns, often fully automatic machine pistols and assault guns, are very happy to use them even against unarmed opposition and innocent passersby. Art heists are still popular methods of robbery, requiring some real skills, little changed over the years. Burglaries have changed in that professional burglary has become less common and opportunist burglary has increased largely because of the increase in drug taking that encourages addicts to grab anything they can, sell it quickly and cheaply, just to have the money for the next fix. Robberies in the category of the Great Train robbery have become less common because society is becoming cashless and the movement of cash is consequently reduced. The great growth in recent years has been the so called victimless crime or white collar crime. In reality, these crimes always produce victims and can be just as violent in consequence, as fraud destroys lives. The author has selected some notorious crimes in this category showing how apparently legitimate and honest businessmen can perpetrate crimes that yield as much or more than violent crimes such as the Great Train Robbery. It is an interesting and fascinating selection crimes that will hold the reader’s attention to the last page. Considering the great and enduring fascination that crime has for every generation, the publisher may decide to publish detailed books on some of the subjects covered briefly in this series. Not all subjects would necessarily justify more detailed coverage and even here, there is variation in the sizes of entries. The author seems to have worked to a formula that produces longer entries for those subjects that merit it and reading through the book, it feels as though all entries are proportional which allows it to be read conveniently as a single book, rather than as a number of individual elements. This is a book that potentially appeals to a very wide audience and should sell very well, sales being limited primarily by the exposure achieved by the marketers. An absorbing approach to a terrible topic group.